Present at the recent Gold Coast 2018 Commonwealth Games, following the conclusion of proceedings on the east coast of Australia, Pang Xuejie announced his retirement from the sport of table tennis. Grateful for the dedication shown, the Singapore Table Tennis Association made a presentation to Pang Xuejie of $31,657.50 (US$ 23,484.33) to assists with his future. The support is made possible thanks the Singapore Table Tennis Association Endowment Fund, which was set up for national players in 2010 to look after their future well-being. The Fund accumulates for every year the athletes are in the Singapore national team, a sum of $5,000 being deposited annually; the fund may be used for tertiary education or any post-career opportunities. In order to qualify, players must be members of the national team for a minimum of three years. 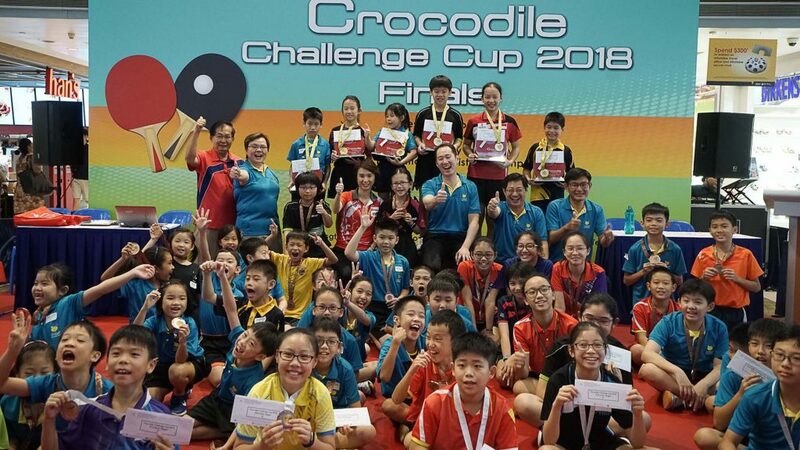 The presentation was made at the closing ceremony for the Crocodile Challenge Cup, held from held from Wednesday 23rd to Sunday 27th May at the Velocity at Novena Square. Impressively, a total of 56 primary schools participated. Notably 10 were present for the first time; present for the finals was Ms Low Yen Ling, Senior Parliamentary Secretary at the Ministry of Education and Ministry of Manpower.